The innovative design of the Parisi Linfa rimless wall hung projects water rather than the traditional flushing mechanism where water pours down the rim. 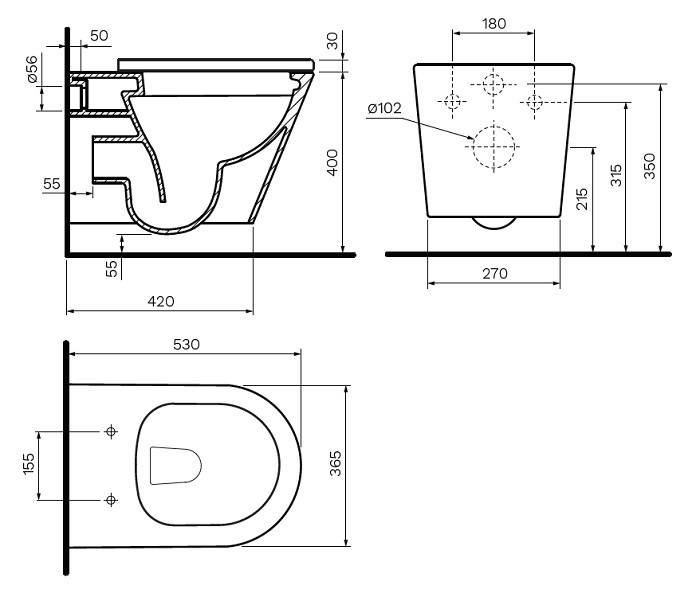 Through the powerful delivery of water and open rim design, maximum cleaning of the inner bowl is achieved whilst preventing water to splash over the edge.The Linfa toilet pan combines a classically simple design aesthetic with outstanding performance features. 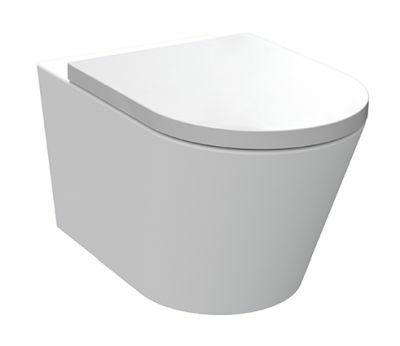 A compact, smooth sided wall hung pan complete with a slim soft close toilet seat. Pan supplied with Fischer concealed fixing kit to connect Pan to support bracket / frame. WELS rating: 4 Star, 3.1 litres per minute.